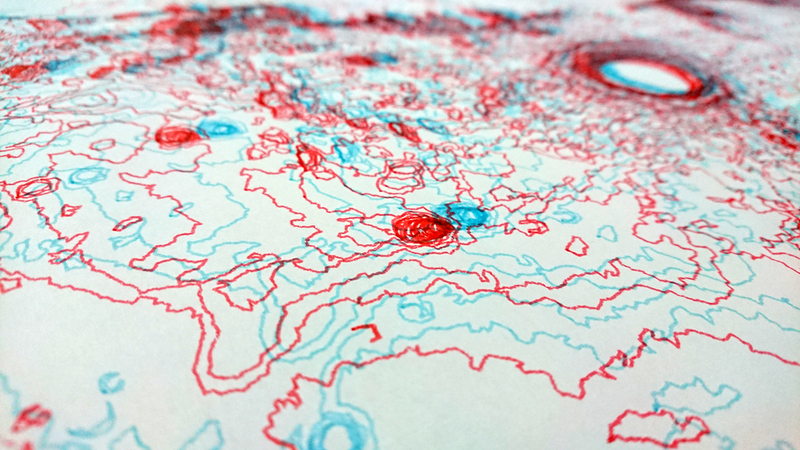 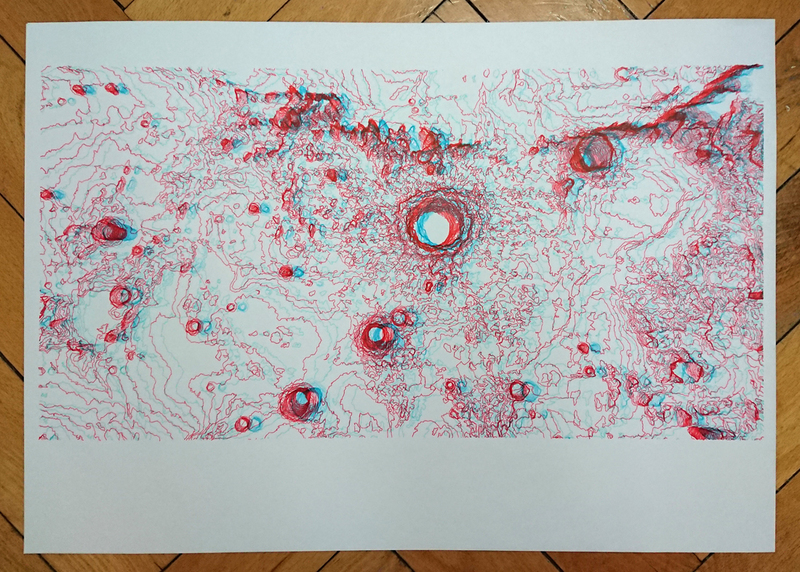 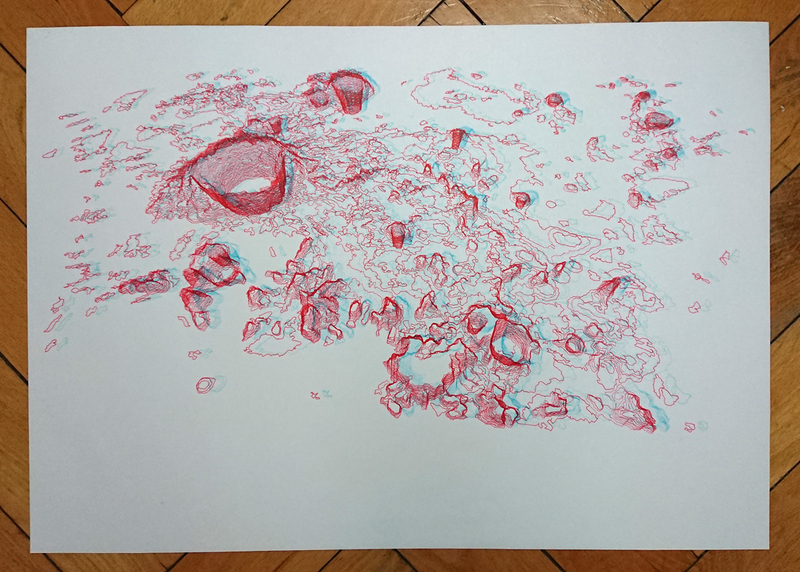 Studies for a new series of red&cyan analogue anaglyph ink drawings of perspective topographic “maps” of various planets and moons of our solar system. 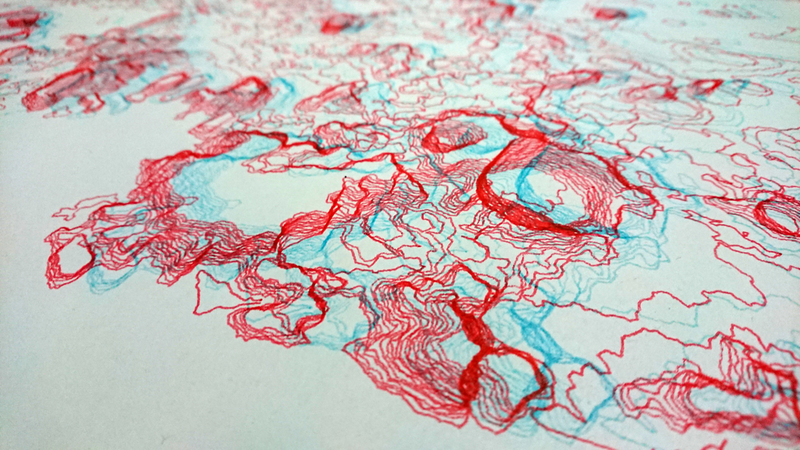 Red and cyan acrylic ink on Din A2 70g seawhite marker paper. 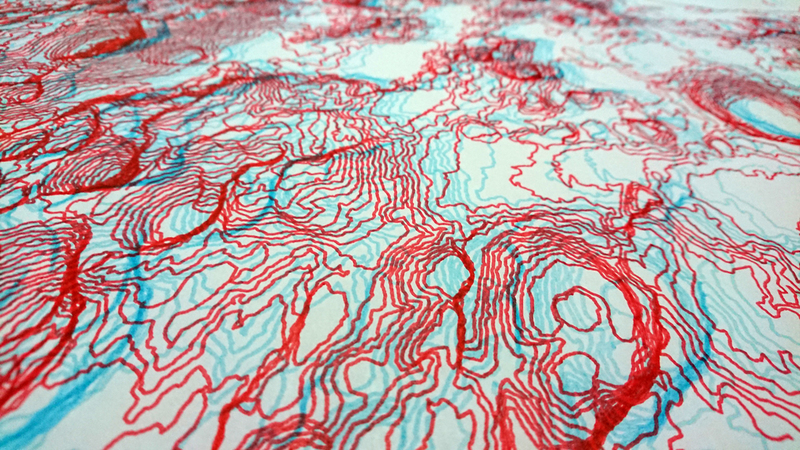 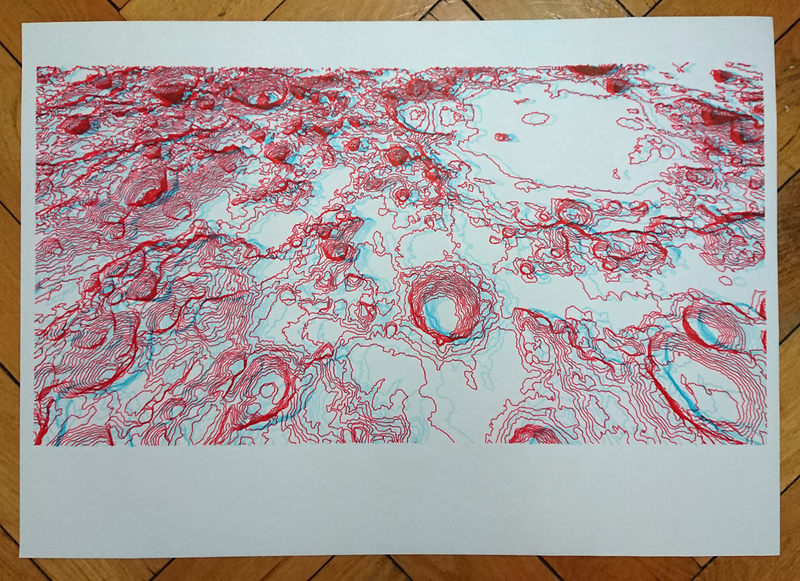 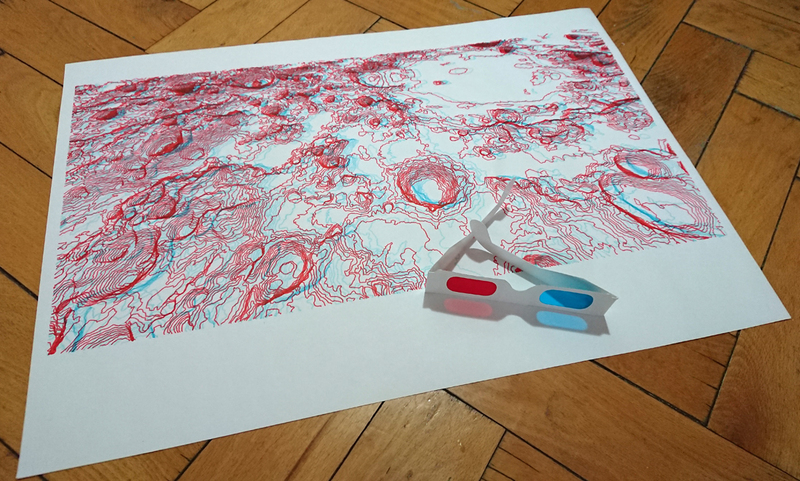 Based on the planetary collection II they are all drawn with two fineliners and appear 3-dimensional when looked at through red/cyan 3D-glasses.